1950s Movies: What Did People Watch? The movie industry in the 1950s was under attack by a new foe: television. Home theater systems kept people in their homes and the cost of making a blockbuster movie rose sharply in the 1950s. 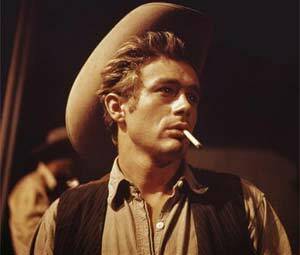 Marilyn Monroe, James Dean, Rock Hudson and Sophia Loren were some of the hottest names in show business. But it wasn’t just about big stars. Technology was making huge strides. 3-D was being heavily experimented with and color was getting more and more common. Also families found another place to hang out: the drive-in movie theater. Now people’s kids could be loud and obnoxious in the car and it didn’t matter. Plus it was a great place to try to get to second base with your date. Let’s go a little deeper into the history of the 1950s movie industry below. Share your love for 1950s Movies: What Did People Watch? What were the most popular movies in 1950? Who won the 1950 Academy Awards? What were the most popular movies in 1951? Who won the 1951 Academy Awards? What were the most popular movies in 1952? Who won the 1952 Academy Awards? Continued growth of the outdoor drive-in theater and a greater variety and somewhat improved quality of pictures released from Hollywood helped the movie industry in 1952. 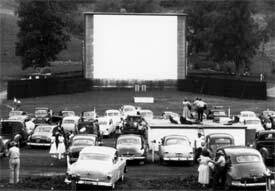 By June 1952 the drive-in theaters had increased in number from 820 in 1948 to 3,483 (including Canada). These new outdoor theaters had more than offset the closing of 1,500 mostly obsolete “indoor” theaters during the period 1948-52 and by the end of that period were accounting for approximately 20% of gross motion-picture theater receipts in the United States and Canada. One of the principal reasons for the popularity of the drive-ins was their solution of the “baby-sitting” problem for parents. The old-fashioned western pictures, once the staple product of the U.S. motion-picture industry, continued to decline in popularity in 1952 and more topical films took their place. Biographical films were also produced in quantity, with 30 either released or in production at the end of the year, of these, 12 were in the musical category. Historical events were dramatized in a number of pictures, such as the voyage of the “Mayflower” (Plymouth Adventure) and the German siege of Tobruk in World War II (Desert Rats). The story of a U.S. weather mission to the Gobi desert in Outer Mongolia during the early years of World War II was effectively told in Destination Gobi. The three top box office successes of the summer period were Cecil B. De Mille’s circus picture, The Greatest Show on Earth, the Dean Martin and Jerry Lewis comedy Jumping Jacks, and the English Tales of Hoffmann, a Technicolor adaptation of Jacques Offenbach’s opera. Samuel Goldwyn released his $4 million Technicolor Hans Christian Andersen, starring Danny Kaye. In Nov. 1952, it broke a 16-year gross-receipts record at the Criterion theatre in New York city during its first week of showing. Cinerama, the new three-dimensional motion picture, made its successful debut in New York city, Sept. 30, 1952. A Technicolor film titled “This is Cinerama” was projected on a curved screen 65 ft. wide and consisted of a series of short subjects. Another three-dimensional process, known as Natural Vision, made its first appearance. By the end of 1952 there were 19 U.S. companies working on 3-D processes, some (like Cinerama) not requiring the audience to wear special Polaroid glasses. The U.S. Supreme court ruled 9 to in May 1952 that U.S. cities and states cannot censor or bar motion pictures on the grounds that they are sacrilegious (the picture in question was the Italian film The Miracle, which had been banned in New York state). The Supreme court held that motion pictures come under the freedom-of-speech provisions of the U.S. constitution. What were the most popular movies in 1953? Who won the 1953 Academy Awards? What were the most popular movies in 1954? Who won the 1954 Academy Awards? What were the most popular movies in 1955? Who won the 1955 Academy Awards? What were the most popular movies in 1956? Who won the 1956 Academy Awards? What were the most popular movies in 1957? Who won the 1957 Academy Awards? For the movie industry 1957 was a nightmare year, with each release a matter of boom or bust and precious little room for near misses. Never before in the history of film had so few pictures grossed so much. The Ten Commandments brought in $18.5 million while Around the World in 80 Days brought in $16.2 million. Movie producers were spending more than ever before, but as The Spirit of St. Louis indicated, the mere fact that great deal of money went into the making of a movie by no means guarantees success. Movie studios became more cautious. A $500,000 flop was a hardship, but a $5 million flop was a disaster. TV’s free entertainment in American homes created a situation that kept movie companies reeling. It cut down greatly on box office attendance. There was also a breakdown of the star system. It was once possible to cast a film with Gary Cooper, Cary Grant, Clark Gable, Jimmy Stewart or Joan Crawford and predict fairly accurately what the profits would be. But in 1957 the hardy perennials were visibly drooping on the vine. Of the younger stars, Rock Hudson emerged as box-office champion, while only Frank Sinatra, Marlon Brando, Burt Lancaster, Elvis Presley and Pat Boone were worth their demands. 1957’s best film, The Bridge on River Kwai, won no less than seven Oscars. Red Buttons and Miyoshi Umeki both won Oscars for their excellent supporting performances in Sayonara. What were the most popular movies in 1958? Who won the 1958 Academy Awards? What were the most popular movies in 1959? Who won the 1959 Academy Awards? Really loved an American in Paris. One of the best. In the Academy Awards listing, you have listed Karl Maiden. This should be Karl Malden. Thank you for noticing, it has been fixed. Hi Rhonda, the Cadillac Coupe de Ville was first introduced in the 1949 model year. Hi I wanted to say your work is very appreciated by me and will help other people as well in the future, thank you for making this site.